I discussed responses to colour in this ABC interview with Richard Glover. Drive program with Richard Glover on 12 February 2019. This interview arose due to recently published research. The findings that suggested we may feel less pain if we wear green or blue. I contend that responses to colour are influenced by a range of factors. Key factors include social and cultural conditioning. If we believe that we respond in a certain way to particular colours, this will happen according to our beliefs. To listen to the interview on ABC Radio, click this link – interview segment from 15:00mins to 23:00mins. To listen to the interview on YouTube, click this link. I’ve written a number of peer-reviewed journal articles on responses to colour. These articles can be found on my publications page, click this link. The interface between colour and human response is complex and open to the impact of a range of factors. These factors include individual differences as well as social and cultural conditioning. Individual differences include gender, age, personality, mood, and stimulus screening capacity. Social and cultural conditioning include the beliefs that we acquire through our childhood and subsequent years. 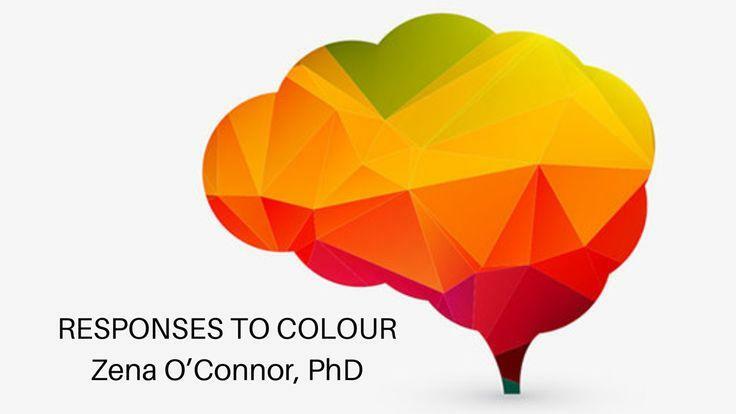 In addition, contextual and perceptual factors impact responses to colour.